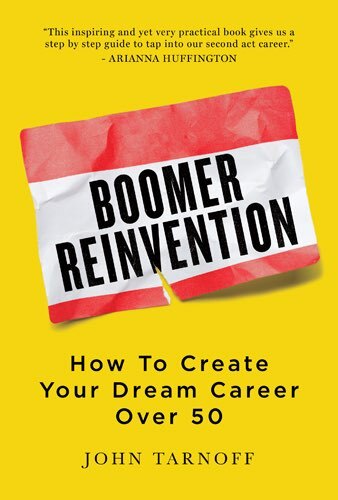 "Boomer Reinvention: How To Create Your Dream Career Over 50"
Ever since I’ve been on Twitter, @johntarnoff has been following me. He retweets my blog post almost every week. Who is this nice person, I wondered? I clicked on his Twitter handle and saw that he has more than 97,000 followers and is a super handsome, sixty-something, former Hollywood entertainment executive. 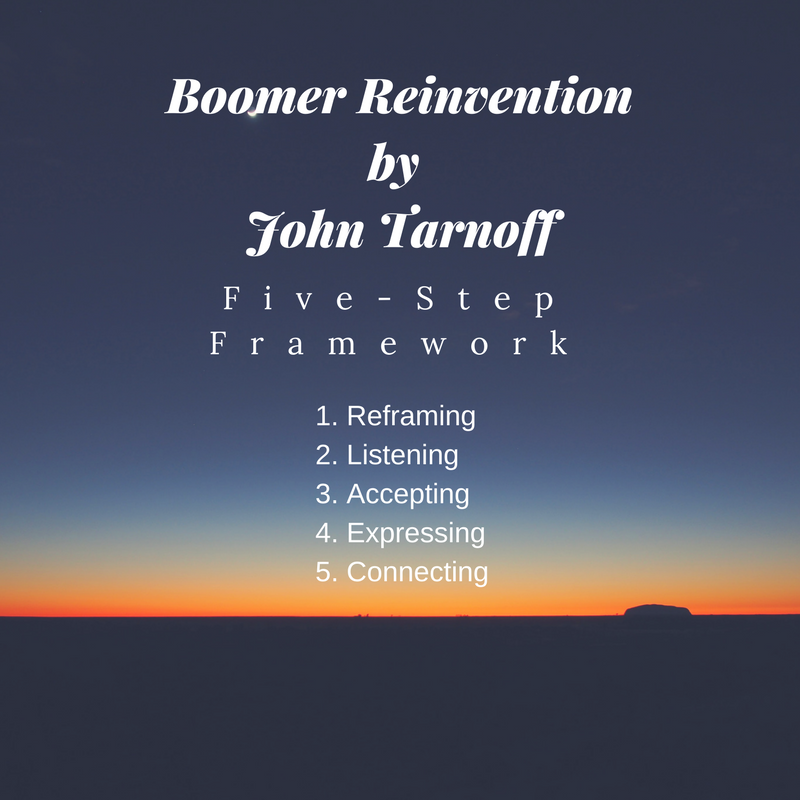 John’s Boomer Reinvention features a five step framework and 23 strategies that he developed while going through his own job changes and career reinventions – 39 times during his career. No wonder he is an expert! Okay, okay, okay, don’t be overwhelmed because there are 23 strategies. I know that sounds like a big number. John makes the process super practical with what he calls “a smorgasbord of exercises and practices” that are effective and easy to implement. “There is truly something for everyone in this collection of approaches,” says John. While I won’t elaborate on the 23 strategies, below is an overview of his Five-Step Framework. I encourage you to read the book for more details and check out John’s website, boomerreinvention.com, where you can download some of his worksheets and watch his videos. 1. Reframing. In the first step, John encourages you to go deep into your beliefs about who you are and what you can do at your age. 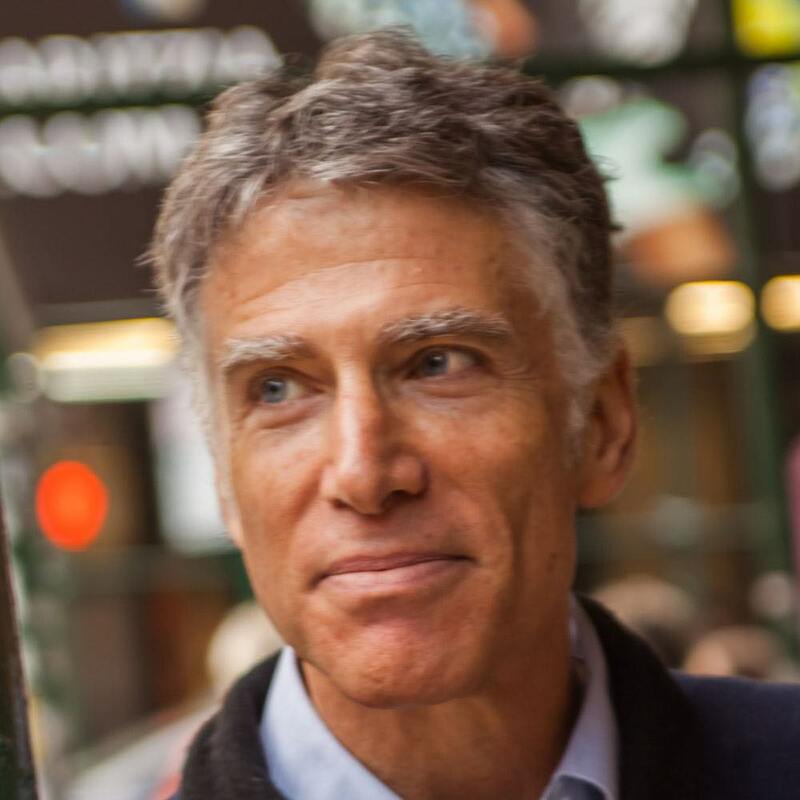 He explains how to assess your skills and create a mission statement for yourself. He provides sample assessments and then let’s you do it yourself. 2. Listening. This step involves getting feedback about yourself from others and taking time to evaluate what you learn. 3. Accepting. John shows you how to adopt a compassionate attitude toward yourself and others. “It’s time to let go of the past ways. Dream BIG,” says John. 4. Expressing. John asks really good questions to help you map your personal Vision Board and SWOT: strengths, weaknesses, opportunities and threats analysis. 5. Connecting. Finally, John offers ways to optimize your online profile and professional network to help you develop the skills to make your new career a reality. 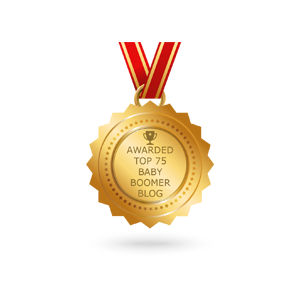 To win a copy of Boomer Reinvention, enter the Rafflecopter Giveaway below. Leave a comment about how you plan to reinvent yourself or how you have already reinvented yourself during your second-act career. Ingrid, sounds like an exciting opportunity to pursue after you retire. Congrats and glad you have starting working on your dreams beforehand. 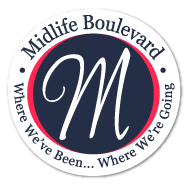 I am all about reinventing yourself, I started my business at 50 and have just started my blog! Can’t wait to read this book! Dawn, congrats on starting your business and a blog too! Good for you. Best of luck. I love this article and just downloaded the book! 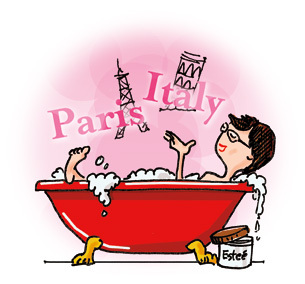 I just reinvented myself by starting a business at age 62. What drove my decision was my need to release my creative energy. I created a product and am very passionate about my company mission. I can’t wait to read John’s book to learn about how those 23 strategies could help push me forward with that mission! Jacqui, so glad you enjoyed this blog post. I do think you will find John’s book worthwhile as you continue to develop your business. At this point I think I’ll be working….forever. With the little money I make from writing I can’t imagine being able to retire. I’d love to read this book! Cathy, retirement is different today than it was in our parent’s day. You will enjoy John’s book. He makes you think different about reinventing your career during your second act. Hi Judy…So much about this post to get excited about! I’ve been engaged in an on-again-off-again job search since 2011. 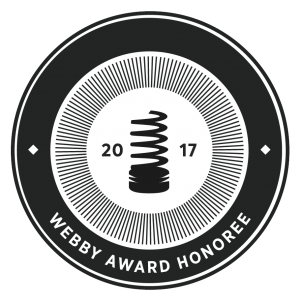 Over time I’ve come to realize (and to own) that the stellar career I’ve enjoyed for nearly 40(!) years…I don’t enjoy so much anymore. I want to love and love what I do…again! As I once did. I’d love this book to support my journey into my next act! Gena, I think you would really find John’s book worthwhile as you sort through creative ideas for a fulfilling career during your second act. This book sounds great. I currently work at a desk job that doesn’t feed my soul. I want to find a career that will feed my soul and allow me to be more active and interact with other individuals. I guess first thing I need to do is decide where I want to put my energy to reinvent myself. Kim, this book is exactly what you need to help you reinvent your second act career. 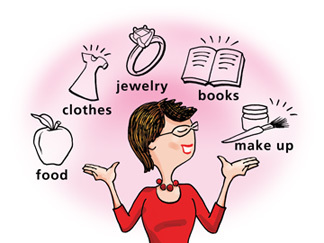 John provides the steps and strategies to help people reinvent themselves post 50. No I have not planned a second act. Not sure how this book would help. 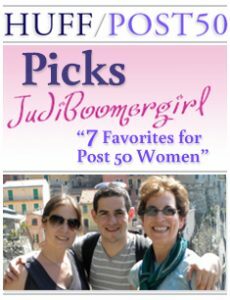 Hi Judi, I’m so glad I stumbled across your blog and this post! I feel it was directed right at me. At 54 I am returning to school and have just started a blog. Attempting to reinvent! Will definitely be checking out John’s book. Eileen, thanks for your kind words. Glad to have you as a reader.